You can click here to see the full details of the poll. Governor Hogan has, at minimum, a 13-point lead on every one of his rivals, and a nearly 20-point lead over more than half of them. 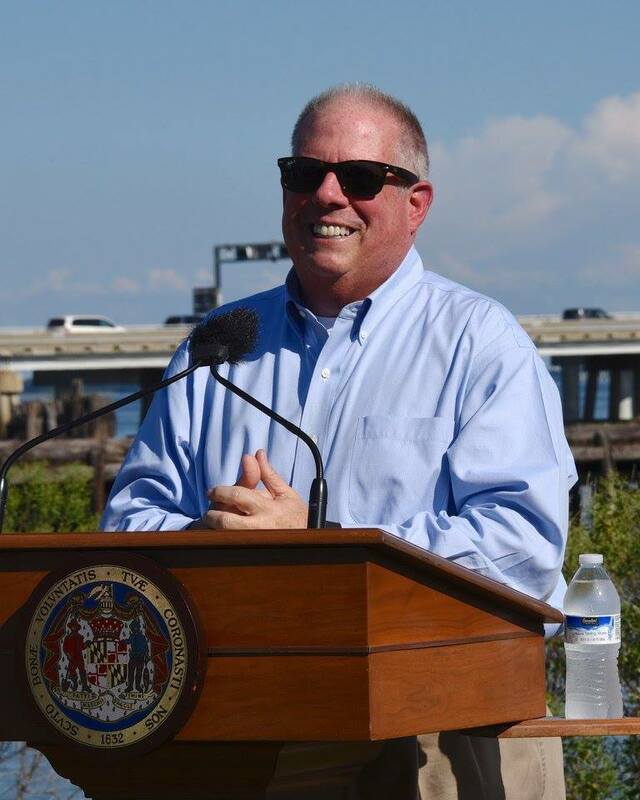 Mr. Hogan remains in a historically strong position — by this point in 2006, both Democrats running against Maryland’s last Republican governor, Robert L. Ehrlich Jr., were leading him in the polls, with then-Gov. Martin O’Malley nearly at 50 percent. Attempts to tie Mr. Hogan to the profoundly unpopular President Donald Trump (25 percent approval, 70 percent disapproval in Maryland; SAD!) have not succeeded. Yes, at this point in 2006 Governor Ehrlich trailed both Martin O’Malley and Doug Duncan in the polls. The missteps of the Ehrlich Administration, particularly his support of tax hikes and the 12% increase in state spending in his last budget, came back to hurt Governor Ehrlich. That is not something that is going to hurt Governor Hogan, who has not raised taxes and has not raised state spending. Much as we said right after his election in 2014, Governor Hogan can run on a platform of promises made, promises kept. The Democrats should be just as alarmed by the numbers their individual candidates are receiving, because it means that voters are not automatically training themselves to default to supporting the Democratic nominee for Governor. We’ve established that the baseline of Democratic support in a statewide election is only 25% of the electorate (determined by the fact that Krish Vignarajah receives the lowest amount of support in this poll). That the best-positioned Democrats, Jealous and Baker, can only achieve 31% in the poll and a 13-point deficit shows that historically weak position of the Democratic Party in this election. These candidates can’t even get a third of the electorate to support them, and that’s before the vast majority of the electorate knows anything about them. That last part is truly the cliff that the Democrats are about to fall over. As we have said in many different forums, the Democratic primary is operating primarily in a bubble. As a story in last week’s Sun discussed, candidates are spending less money on television and more money targeting Democratic primary voters through digital means. They haven’t even begun to think about what happens after June 26th because of the logjam for support among the nine candidates running for Governor. So once people know who the Democratic nominee is, and once people start learning about the Democratic nominee, that’s when the Democrats are going to be in real trouble. Because every Democrat in the field as a record of flaws, of failure, and of unattainable policy goals. The more people learn about the eventual Democratic nominee, the less they are going to like them. This poll may look like doom and gloom for the Democrats. But more than likely, they haven’t even hit rock bottom yet.